To earn five stars, a great story must deliver something that I've never seen before. 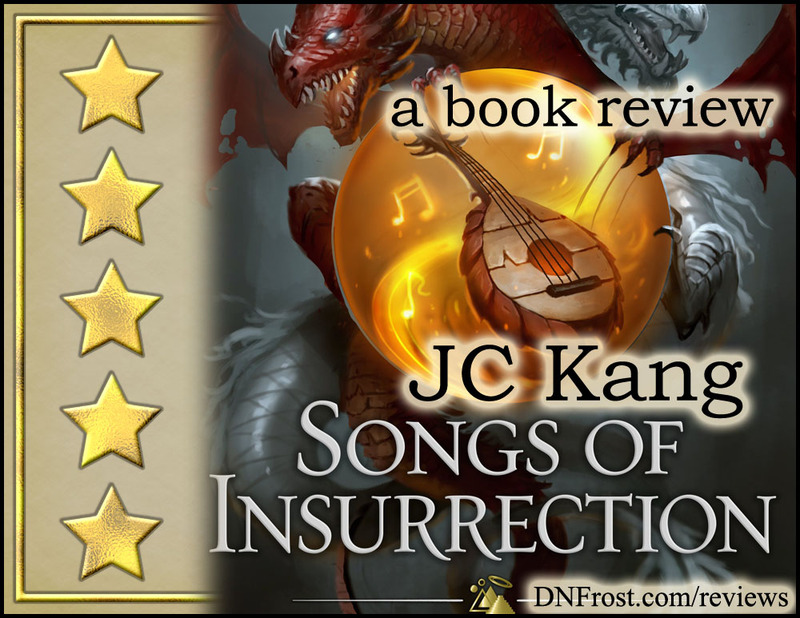 Songs of Insurrection by JC Kang is Book One of The Dragon Songs Saga from his Legends of Tivara series. This book was previously published with a different cover under the title The Dragon Scale Lute, Book One of the Daughter of the Dragon Throne series. I received a free copy of this book in exchange for an honest review. In a magical world inspired by ancient imperial China, JC Kang presents a heavily male-dominant society, leveraging this stark backdrop for a powerful free-spirited princess to embark on a clandestine adventure to resurrect the ancient practice of wielding magic through music. The romantic subplot is elegantly crafted. Kang contrasts the lofty and well-clad dangers of court intrigue with the immediacy of espionage agents in the line of duty, and he deftly brings these two worlds to collide in an epic finale. 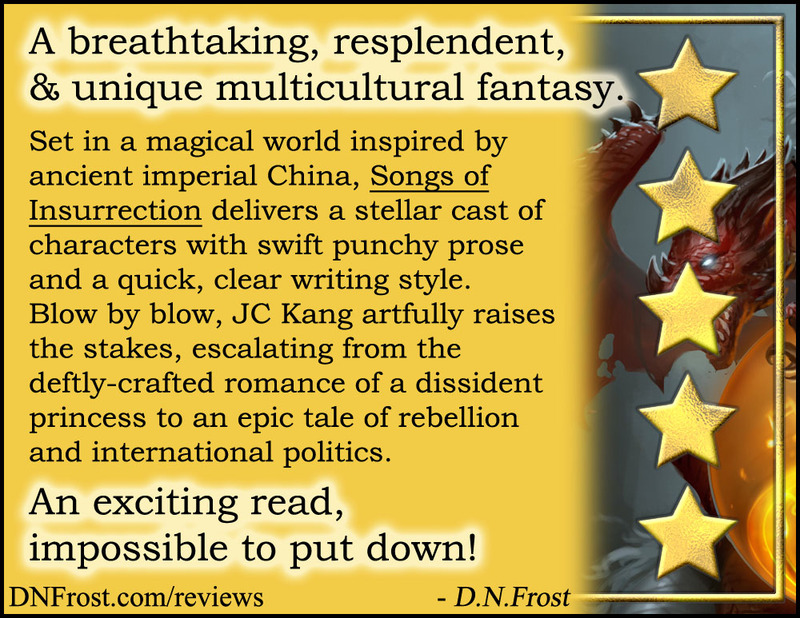 Breathtaking in its detail and resplendent with features unique to epic fantasy as a whole, Songs of Insurrection delivers a stellar cast of characters, each with his or her own skills, strengths, and flaws. Kang toggles from the princess's romance to the covert spies and espionage that make this story truly shine. With swift punchy prose and a quick, clear writing style, Kang escalates the plot from the tale of a dissident princess to a story of mass insurrection and international politics. Blow by blow, Kang artfully raises the stakes for an exciting read that is impossible to put down. Kaiya is an unmarried daughter of the all-powerful emperor in a magical Asian world. When a loveless arranged marriage threatens to rob her of her greatest joy, she embarks on a defiant and clandestine adventure to resurrect the ancient practice of wielding magic through music. Encouraged by the handsome foreign prince of a war-torn nation, Kaiya acquires priceless musical artifacts, invades ancient performance halls, and embraces the mystic knowledge of a centuries-old elf to unleash her magic. But unrest brews in her father's empire. Rival ninja clans support rebellious feudal lords who stockpile illegal gunpowder to prepare for their coup. With spies and traitors all around, Kaiya seeks to harness the power of her music before her country falls to ruin. 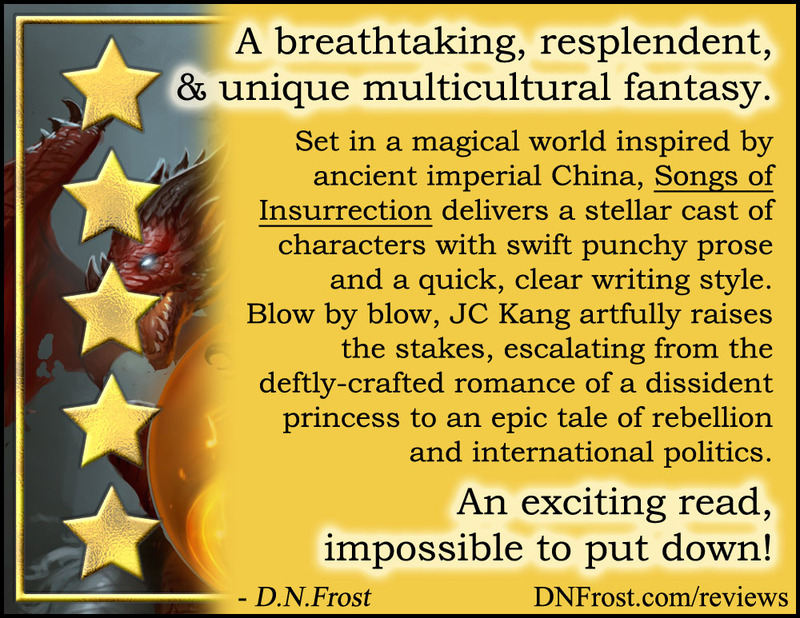 Songs of Insurrection tells two interlocked stories — the story of Kaiya's budding musical gift and star-crossed romance with a foreign prince, and the story of the exiled son of a feudal lord, now a covert agent of the Black Lotus ninja clan sworn to serve the Dragon Throne. The romantic subplot is elegantly crafted, capturing the onerous thrills of first love and advancing the plot rather than supplanting it. Kang contrasts the lofty and well-clad dangers of court intrigue with the immediacy of espionage agents in the line of duty, and he deftly brings these two worlds to collide in an epic finale. Though a gullible and heart-driven girl of sixteen, Kaiya is also an imperial princess of wisdom and fortitude, capable of making great personal sacrifices for her people and their well-being. While the updated cover and description for JC Kang's Songs of Insurrection drew my eye, I was initially confused when the book I received had a different cover, title, and series name. This older cover placed much more emphasis on the romantic subplot, clothing Kaiya in pretty pink and presenting The Dragon Scale Lute as an Asian princess love story rather than the epic coming-of-age tale of female empowerment that I'd wanted to read. After some quick online research, I determined that they were in fact the same story, and despite my misgivings about the pink-swathed princess on the front cover, I dove into the novel and finished the book in two days. To my delight, Kang delivers a stellar cast of characters, each with his or her own skills, strengths, and flaws. He presents the pimple-faced teen princess as realistically sheltered and gullible, yearning for a man who can see her beauty and the value of her musical artform. But this isn't just a princess story. JC Kang toggles from Kaiya's musical romance to the covert spies and espionage that make this story truly shine. My favorite character is Tian, a Black Lotus operative with a head for numbers. He presents numerous calculations throughout the story, and in scenes told from Tian's point of view, the author uses precise numbers in prose to further characterize Tian in a subtle, pervasive, and wholly effective way. JC Kang writes with swift punchy prose that lets the story flow unimpeded. His writing style is quick and clear, setting up the plot's conflicts and building momentum with no muss or fuss. While the language is not simplistic, the manuscript feels polished and unpretentious — Kang's emphasis is, as it should be, on communicating his story in the most effective way possible. Songs of Insurrection escalates quickly from the tale of a dissident princess to a story of mass insurrection and international politics. Blow by blow, Kang artfully raises the stakes for an exciting read that is impossible to put down. 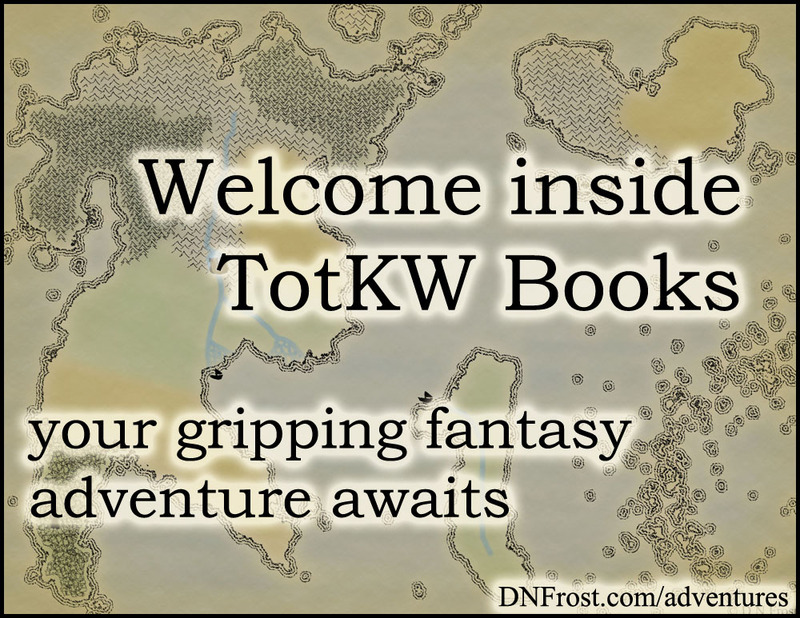 The world of Songs of Insurrection is breathtaking in its detail and resplendent with features unique to epic fantasy as a whole. JC Kang brings to life a world inspired by ancient imperial China, replete with ninja-like clan operatives, gunpowder for muskets and cannons, and a vast nation united by the Mandate of Heaven. By contrast, the foreign prince rules the war-torn analogue of neighboring India, his features more browned and his country renowned for their martial arts. He even names the Hindu goddess Saraswati as the divine patron of the arts. Kang also name-drops an infamous book of military strategy, The Art of War, attributing its creation to the great Founder of the ruling imperial dynasty in his world. True to the culture of ancient imperial China, Kang presents a heavily male-dominant society, leveraging his stark backdrop for two powerful free-spirited females to break the mold. The princess Kaiya defies her father's imperial will and plans of betrothal, and the Black Lotus operative Jie dresses like a boy to disguise her mixed heritage and to skillfully take care of business. Songs of Insurrection takes place in a land of rich history, with magic woven into the tapestry of everyday life through artifacts like light baubles and magical artforms like calligraphy and martial combat. JC Kang's background in Chinese medicine shines through in his realistic descriptions of acupuncture, breathing exercises, and the use of posture and qi or chi energies to work magic. Given the exotic non-Western nature of most aspects of Kang's world, he keeps the story navigable and fun for an English audience by assigning various nicknames to minor characters like Fat Nose Jiang and Lefty Li Wei. Overall, I really enjoyed Songs of Insurrection, and I plan to read the other books Kang's saga. I'm very grateful for the free copy I received in exchange for my honest review, and I submitted my short-form review to Google Books. 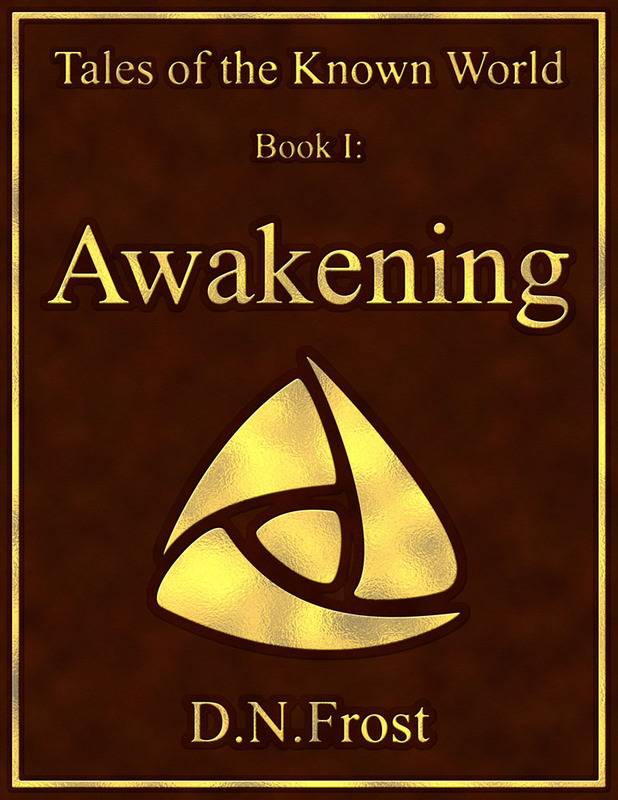 Kang is now able to post my editorial review on Amazon, and knowing how important Praise for Awakening is for my own saga, I also posted my review for him on Goodreads. Songs of Insurrection by JC Kang here. And be sure to subscribe to JC Kang's mailing list, if you haven't already! That's it for this post! Up Next: My review of Kang's second book... Coming soon.